Wow! Thanks to Ellen over at www.cardmonkey-business.blogspot.com/ for giving me this award. It is still so strange to me that total strangers are looking at my projects (let alone that they are enjoying them!) I appreciate all the positive and encouraging comments from people! 1. I love the smell of fresh cut grass and can't wait for spring to finally arrive so the lawns get mowed! 2. My family suffered an unimaginable loss 5 years ago when my sister died in a car accident. They say everything happens for a reason, which I hate. However, I will say that since she passed away my other sister and I are so much closer than we ever were before and I wouldn't trade that for anything. 3. Without planning it, the first letter of the names of my kids and my sisters kids spell my mom's maiden name. CARR (Caitlyn, Annie, Ricky and Ryan). 4. I hate/despise any sort of fantasy or alien movie, book, idea. 5. I am a sucker for any romantic comedy. I love how predictable they are, the corny jokes, and the kiss at the end where the camera rotates 360 degrees around them. Can't help it. I just love it. 6. I am a nurse and I love taking care of confused, elderly people. I never thought this would like that aspect of nursing but I have grown to love it. 7. I think I like American Girl dolls and catalogs as much as my 5 year old. 8. I love homemade popcorn with lots of butter and salt. Thank you for the super sweet award!!! Thanks for the blog award so sweet of you. And like you I felt strange about the blog at first to. So funny I find I share alot on my blog even though I am a shy person. 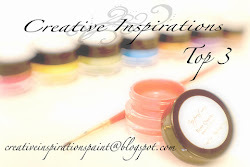 What I most enjoy about my blog is sharing ideas and tips. I love helping others. Hi Melissa,thank you for the award.I am your newest follower.